Over the years, in my capacity as General Counsel for an ISO and in my role as a private attorney, I have had many opportunities to assist my clients and friends in hiring lawyers. 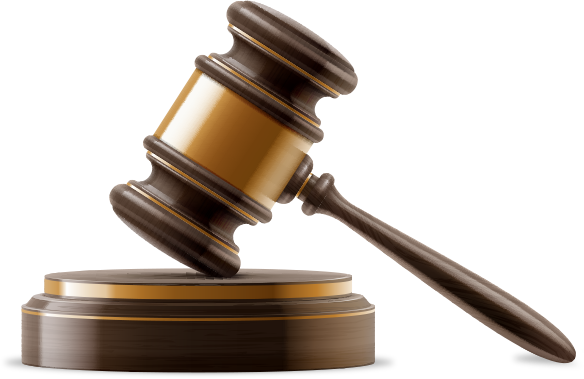 There are a number of different criteria one should consider in choosing an attorney. Below, I will outline some of the more important things to consider when you are looking for counsel to represent you. One of the key factors in choosing an attorney is ensuring that he or she has specific knowledge about your industry. For instance, in the bankcard industry it is critical to have a bankcard savvy attorney review your contracts. If you are dealing with an employment matter, you need to make sure that the attorney has sufficient background in the employment arena to ensure that the advice you are receiving is accurate and useful. The benefit of having an attorney that understands your industry is that you do not have to pay for the attorney to come up to speed about the important issues that you face and how your particular business niche operates. Choosing an attorney who already knows your industry will lower the amount of money that you spend on attorneys fees since the he or she is familiar with the common business issues that are faced in your particular business and therefore does not have to spend hours researching those subjects. In addition, an attorney that knows your industry will be able to identify issues that someone without industry experience might miss. Another important factor to consider is whether or not your attorney will be available for you when needed. An attorney is often asked to help you at the most critical moments for your business. As a result, it is important for you to be able to have the attorney on call 24 hours-a-day, 7 days-a-week, during those times when it is necessary. Many attorneys are extremely busy and often are unable to take your calls or address certain legal issues when you need them to do so. By asking the attorney directly whether or not he or she is willing to provide you with his or her mobile phone number for calls as necessary, will allow you to determine whether or not the attorney is willing to go that extra mile to make sure that you get the level of service that you need. Another important and often practically necessary, qualification for attorneys is their geographic location. When involved in litigation, it is critical to have an attorney who is well versed in the laws of the state and the local area, within which the litigation is occurring. I have often been asked by my clients whether or not I can represent them in cases in their home states such as Florida when they are sued in those states. The issue is, that although I am very familiar with the Civil Procedure laws in California, I do not have any experience with the Civil Procedure laws in the state of Florida. Each state has its own set of rules that govern the way that case progresses through the legal system. These rules are called the Civil Procedure rules and these rules vary greatly from state to state. Unless your attorney is well versed in the Civil Procedure laws for your particular state, it is inadvisable for your attorney to try to represent you, especially if your attorney is from another state. This is why attorneys have great difficulty representing people in different states because of the very specific and very difficult to understand rules of Civil Procedure for each particular state. As such, when my clients are involved in litigation, I generally refer them to a local attorney who is better able to meet their needs. The best way to ensure that the attorney you choose is the right one for you is to use an attorney that has been recommended by someone that has used them in the past. This is the acid test for an attorney because no matter how much you speak to the attorney, research his or her qualifications and educational background, you still are not really able to effectively determine how the attorney will act once the representation begins. By getting a referral, you are able to take the combined experiences and results from other clients to help you to determine whether or not the attorney will be a good fit for you and will provide the level of service that you expect. One of the other important factors that many people find important is the rates that are charged by the attorney. Generally, there are various groupings of rates for attorneys. There are some who will charge what I would consider relatively inexpensive rates of around $150 per hour. However, most attorneys that charge these types of rates are new and do not have much in the way of experience. An attorney charging such a low rate would be a red flag to me that, for the most part, the attorney is not experienced enough to handle matters for which you are seeking assistance. In order to obtain competent legal counsel in most states these days, you should expect to pay approximately $200 – $300 per hour for legal advice. This may seem fairly expensive but it is the going rate in most areas for competent legal counsel. Compared to the rates charged by large firms, it is actually fairly reasonable. Most large firms will charge you $300 per hour or more for a first year associate who has absolutely no legal experience. Partners in large firms can cost upwards of $500 to $600 per hour for their time. For most people in the bankcard industry, it is not necessary to engage this high priced legal help. You can find attorneys that will be able to help you with most all your legal needs for $300 per hour or less. Another important factor to consider when choosing an attorney is the educational background of the attorney. You cannot assume an attorney is a good attorney just because he or she went to a well regarded school. However, the educational background of an attorney can provide you with enough information to decide not to hire an attorney under certain circumstances if the school he or she attended does not have a good reputation. By considering the factors above before you hire an attorney, you can at least give yourself some level of confidence that the attorney you choose is a good fit for you and has competency in the field. However, there is no better way than to give the attorney a try and see whether or not he or she is the right attorney for you.